The South Loop is home to some of the best views in the city of Chicago and if you need evidence just look at the picture above. While the interior looks nice, the view is simply to die for. The Grant (1201 S. Prairie) is one of the newer high-rises in the Sloop and literally sits on the south end of iconic Grant Park. 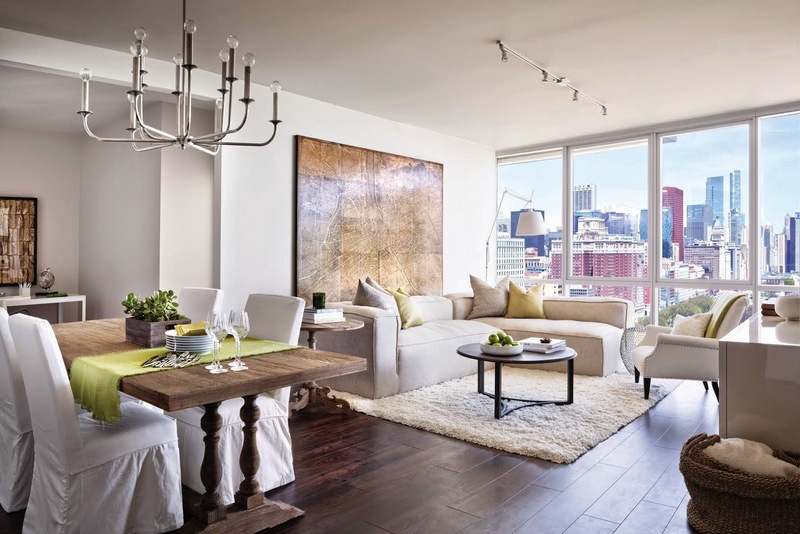 The unit above is a 2bd/2bth + den model and comes in at 1,700-square-feet. It features a private balcony as well as top-of-the-line appliances and finishes. If that's not interesting enough, the building has a full suite of amenities, including a state-of-the-art fitness center with indoor pool, hot tub and his and hers locker rooms; a private screening room; and a reservable entertainment suite with catering kitchen. While all this is nice, it does come at a price. Current pricing for the unit above is $949,000 to $999,000. They also have other units that are less and more expensive for sale. Regardless of whether or not your in the market, it's worth a trip to check them out. They are holding open houses every Saturday and Sunday from 12-4 p.m.
We checked one out last weekend and all we can say is it must be nice to live this way.